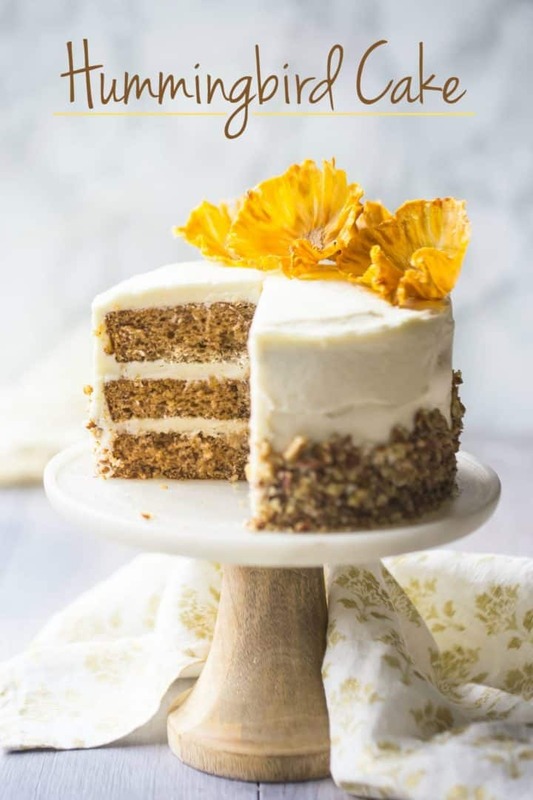 Hummingbird Cake: a classic southern recipe made with pineapple, banana, cinnamon, and nuts, all topped with a tangy cream cheese frosting! It’s good Friday! Can you believe it?? I’m so happy it’s finally spring. After this weekend I can break out the white jeans. Holla! I’ve been meaning to share this hummingbird cake recipe for a while. I started developing it way back in February! It took a lot of tries but I finally got it perfect. It looks so pretty! Aren’t those dried pineapple flowers gorgeous? Even though it’s spring, the seasonal fruit isn’t really making much of an appearance yet. So tropical is a great way to go! The flavors here are so on point. Sweet banana is at the forefront, then you get the warm cinnamon and the pineapple. With tangy cream cheese frosting and crunchy pecans, it’s just a total home run. And honestly this cake would be welcome at any time of year. It’s a true classic and there is really no occasion that wouldn’t be made more special with this stunner of a hummingbird cake on the menu. Hummingbird cake is a southern tradition. Like so many other delicious baked goods (think biscuits, peach cobbler, corn bread, pecan pie…) this recipe got its start down south. 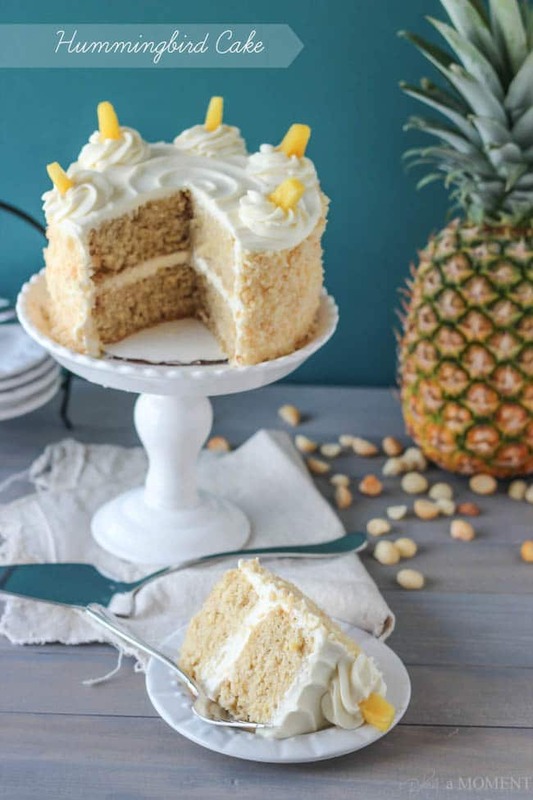 It’s a simple layer cake, flavored with banana, pineapple, and cinnamon, filled and frosted with a tangy cream cheese icing, and garnished with pecans. 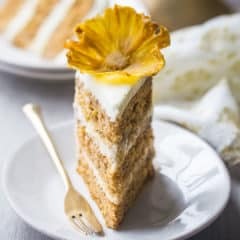 The cake is ridiculously moist and tropical-tasting, and the combination of flavors is just out of this world. My whole house smelled incredible while this cake was baking! You’ve gotta give it a try! Just like with so many of my cakes, this recipe uses the reverse creaming method. Start by combining all the dry ingredients in a big bowl. Flour, sugar, leavening, cinnamon, and salt just get stirred together. 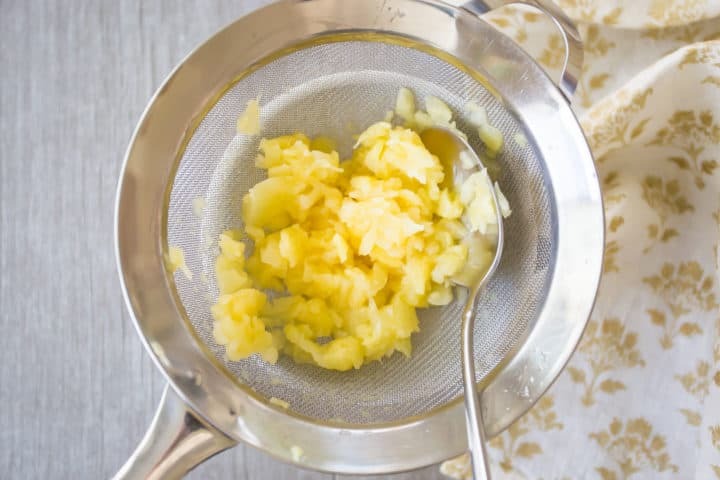 Work in the soft butter until the mixture resembles damp sand. Then, mix in the eggs. It’s important that the eggs go in one at a time, to avoid a lumpy batter. Allow the first one to become completely incorporated, before adding in the next. Now it’s time to add the liquid ingredients. 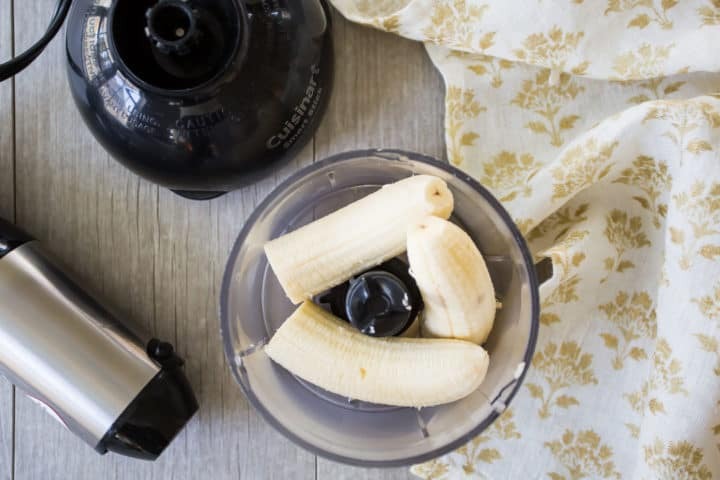 Puree the bananas until they’re really smooth. I like to use my mini chopper for this. You are also going to want to drain your pineapple really well! It’s best to put in in a strainer and really squeeze out as much of the liquid as you can. 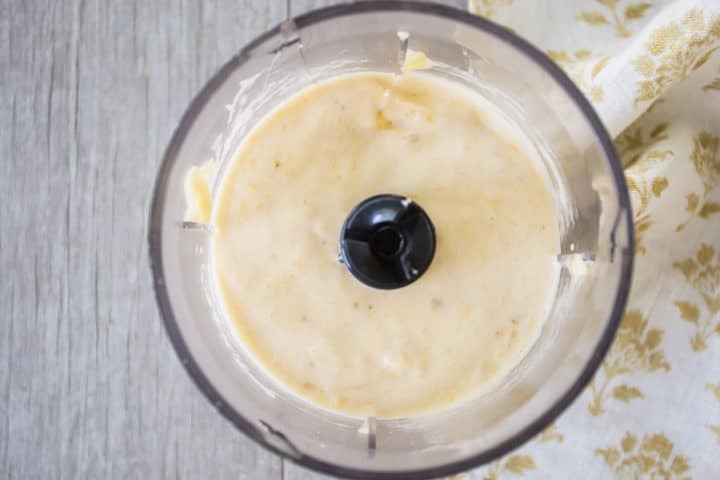 Add the pureed banana and drained, crushed pineapple to the cake batter, along with a little sour cream and a splash of vanilla extract. 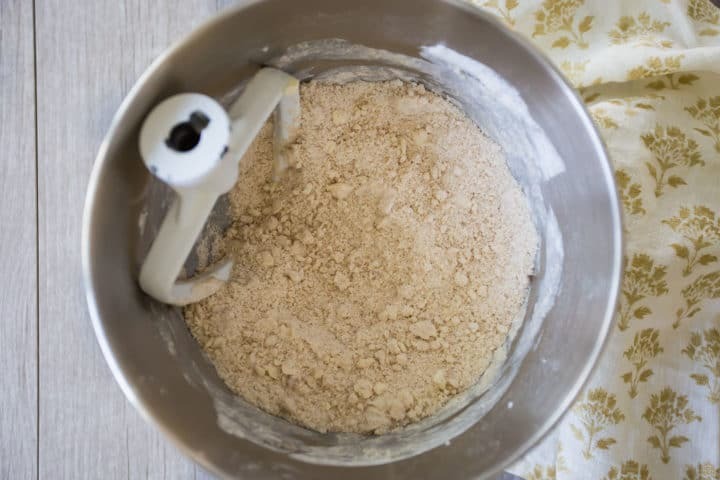 Mix this batter for about a minute, then transfer it to greased, parchment-lined cake pans and bake! CAN HUMMINGBIRD CAKE BE MADE IN DIFFERENT SIZED PANS? To me, a tall, triple layer cake is just such a statement, so I baked this cake in 3 6-inch round pans. But it could also be made in 2 8- or 9-inch diameter pans, or in a rectangular 9×13-inch pan. Just keep an eye on the bake times. Larger, thinner cakes could need more or less time in the oven, depending. You’ll know your cake is done when a toothpick inserted in the thickest part comes out clean. Traditionally, hummingbird cake is made with cream cheese frosting. It’s so good! It compliments the fruit and spices in such a perfect way. 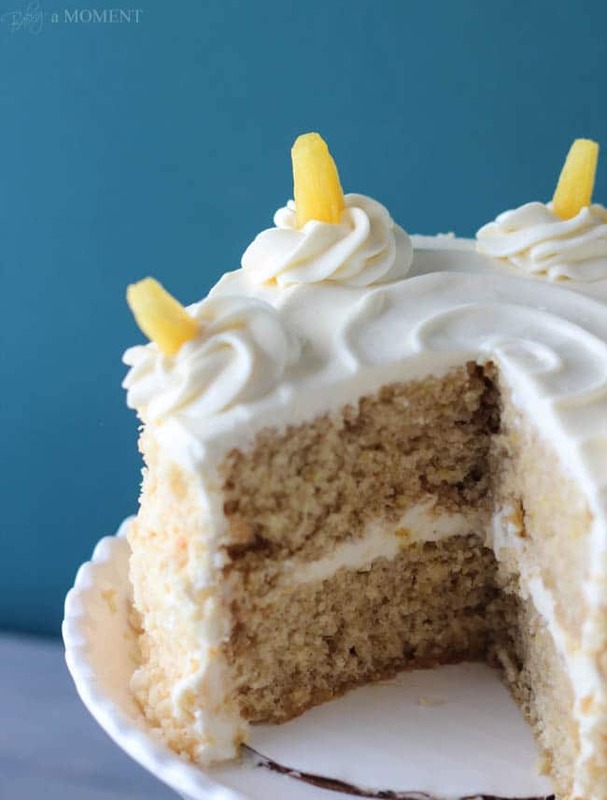 Try this recipe for no-fail, fluffy as can be cream cheese frosting that’s stiff enough to pipe: Cream Cheese Frosting. It’s what I used in the pictures you see here! If you’re looking for another option, try this one: Magical Cream Cheese Frosting. It’s basically a hybrid of traditional cream cheese frosting and ermine frosting, sometimes known as boiled milk frosting or flour frosting. It’s super-smooth and silky, and perfect for making ahead. Or if you are anti-cream cheese, you could also try my favorite, Swiss meringue buttercream, or this easy American-style buttercream. Once the cake is filled and frosted, you can give it a simple but stunning decoration. Press finely chopped pecans into the sides of the cake. I chose to only go a little less than halfway up, but you can do it however you like! Then, just place a few dried pineapple flowers on top, for garnish. To make dried pineapple flowers, peel a fresh pineapple, and cut it crosswise into very thin rounds (the thinner the better!). Place them on a wire rack, and dry them in the oven. (At 170 degrees F, this will probably take around 3 to 4 hours.) Once they are dry but still warm, they should be pliable enough to shape. Press them gently into a small cup to form the blossom shape, and allow to cool completely. HOW LONG DOES HUMMINGBIRD CAKE LAST? 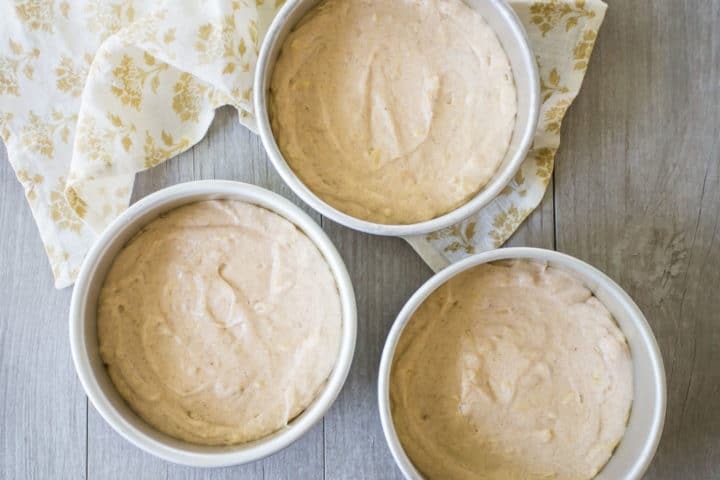 This cake will keep at room temperature for at least a day or two. In the fridge, it will stay good for a week to 10 days. Just press a piece of plastic wrap into the cut side of the cake, so it doesn’t dry out. The unfrosted cake layers can be wrapped tightly in plastic wrap and frozen. They’ll last in the freezer for a couple of months. CAN HUMMINGBIRD CAKE BE MADE AHEAD? You can definitely make this dessert ahead- in fact I would recommend it! The layers can be baked the day before you plan to assemble the cake. Allow them to cool to room temperature, then wrap them tightly in plastic and refrigerate them overnight. I also like to fill and frost the cake ahead, and give it some time in the fridge to chill before slicing in. In my experience, the results are always so much better when you allow layer cakes to chill for a while before serving. They’re easier to frost, and they slice so much more cleanly this way. Hope you have a fantastic holiday weekend, and I really hope this hummingbird cake is a part of that! Let me know if you have a chance to bake it up; I want to hear all about it! Mystery Dish couldn’t have come at a better time. Sorry for my absence, you guys. Sorry for my absence from Baking a Moment. Sorry for my absence from Facebook. Sorry for my absence from Twitter. Sorry for my absence from Google Plus, and most of all, sorry for my absence from all my bloggy friends’ comment sections. I have no real good excuse other than just a general blue funk caused by things that should not really put one in a blue funk. I knew it all along, as it was happening, that these things should not get me down, that I have too much to be thankful for, and fun projects to occupy myself with, and wallowing can never be a good thing, but sometimes I think we just need to let these things run their course. February is a tough month. I mean, once all the flush of Valentine’s day is all over, there’s not much else to look forward to, other than Spring. And that’s not happening as soon as we’d like, I’m sure. Still lots of snow on the ground, and more to come. Thankfully, there were a few bright and sunny days over the last week, and I for one think soaking up some sunshine is the best remedy for that gloomy late February state of mind. If you haven’t been lucky enough to catch a few glimpses of the Spring weather that is to come, this cake is the next best thing. Just when we’re all sick to death of looking at the same four walls, while dreary skies and dirty slush unwittingly worm their way into our peripheral consciousness, along comes the sunniest, fluffiest, most tropical treat anyone could ever imagine. Have you ever heard of hummingbird cake before? I only recently became familiar with it myself. Evidently it’s a classic southern recipe. It’s unclear how it got it’s name, but the one thing I knew for sure, when I saw this month’s ingredients list, was that it was exactly what I needed at that moment. 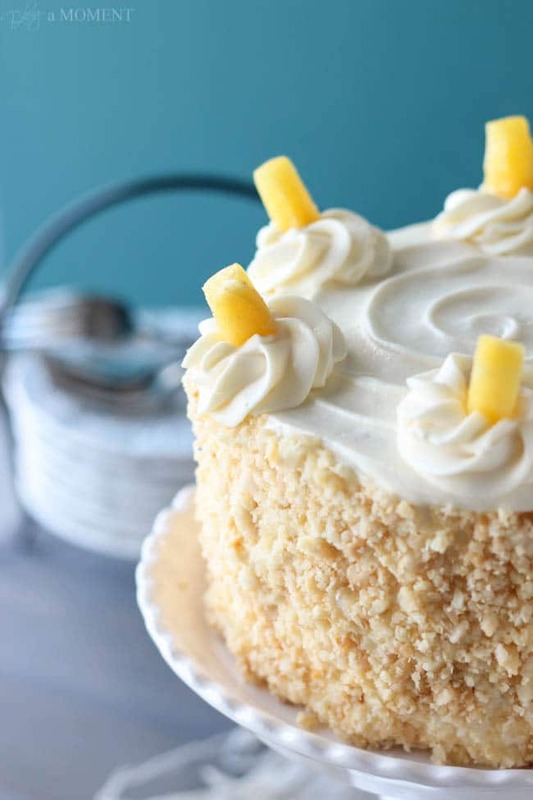 A little banana adds to the tropical flavor of this cake, and cinnamon speaks to that cozy feeling we’re all still so into at this time of year. The cake is made in one bowl, with no fancy or complicated method. Just dump and stir! It doesn’t get much simpler. I often keep fresh pineapple in our fruit basket during the winter months, since there are so few other fruit options that are locally grown and seasonal. So, although the original recipe calls for canned pineapple, I just tossed a few cubes of fresh into my mini chopper, along with a splash of orange juice to keep things running smoothly. I used the same chopper for my nuts and banana too. Don’t bother washing it out in between- it all ends up in the same place! If you’d like some tips on decorating your cake in this way, I’m giving a quick rundown, along with affiliate links to products I use and recommend, within the recipe card below. 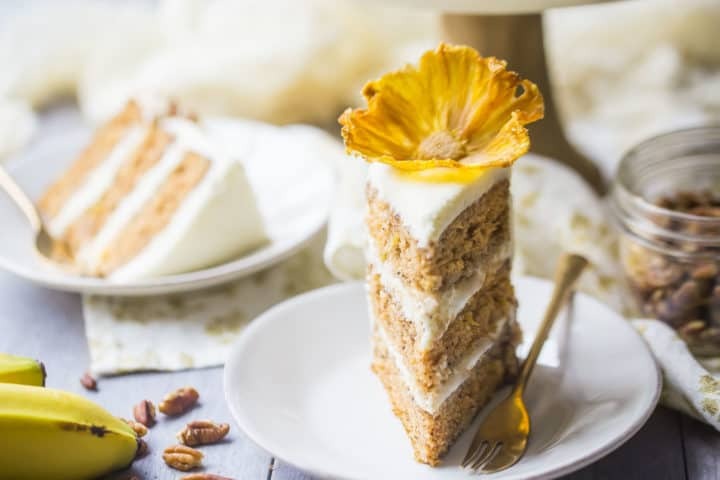 Hummingbird Cake: This Classic Southern Recipe hits all the right notes with Pineapple, Banana, Cinnamon, and Nuts, all topped with a Tangy and Fluffy Cream Cheese Frosting! Lightly spray (2) 6-inch diameter cake pans with non-stick spray, and coat with flour, tapping out excess. Place all the cake ingredients in a large bowl and stir to combine. Divide the batter equally between the two pans, and bake for 30 minutes, or until the tops spring back when lightly pressed. A toothpick inserted in the center of the cakes should come out clean or with a few moist crumbs. Place the cream cheese in the large bowl of a stand mixer, fitted with the paddle attachment. Mix on low speed until smooth. Sift in the powdered sugar and add the vanilla. Mix until well incorporated. Switch to the whip attachment, and slowly drizzle in the cold cream, in a thin and steady stream, while whipping on medium high speed. Turn off the mixer as soon as the mixture holds stiff peaks. Do not overbeat or it will become runny. Place the first layer, top side down, on a cardboard cake circle. Top with a generous scoop of frosting, and lay the next layer on top. 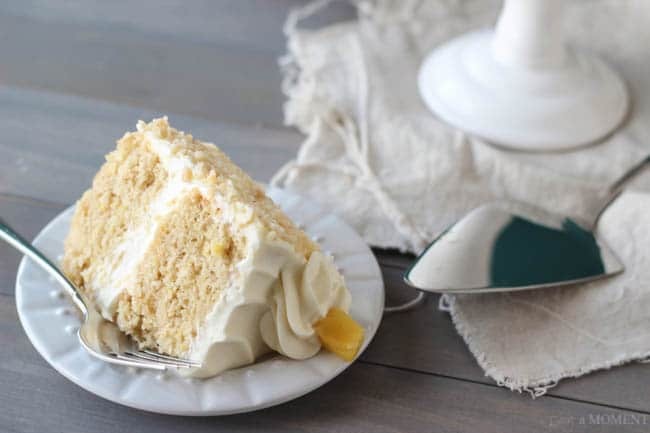 Using a cake turntable, scoop more frosting on top and wiggle your offset spatula over the frosting, allowing some to overhang the top edge of the cake. Wiggle, wiggle, wiggle (don't scrape!) the frosting down and around the sides. Spin the turntable while holding the spatula at a 90-degree angle to the floor, to smooth out the sides. Slide excess frosting back into the bowl and run the edge of the spatula over the top of the cake, to take any excess off the top edge and smooth the top. Place the tip of the spatula at the center of the cake, spin the turntable, and spiral outward. Use the spatula to remove the cake (on its cardboard) from the turntable, placing it on your left hand (assuming you're a righty). Hold the cake over a large plate. 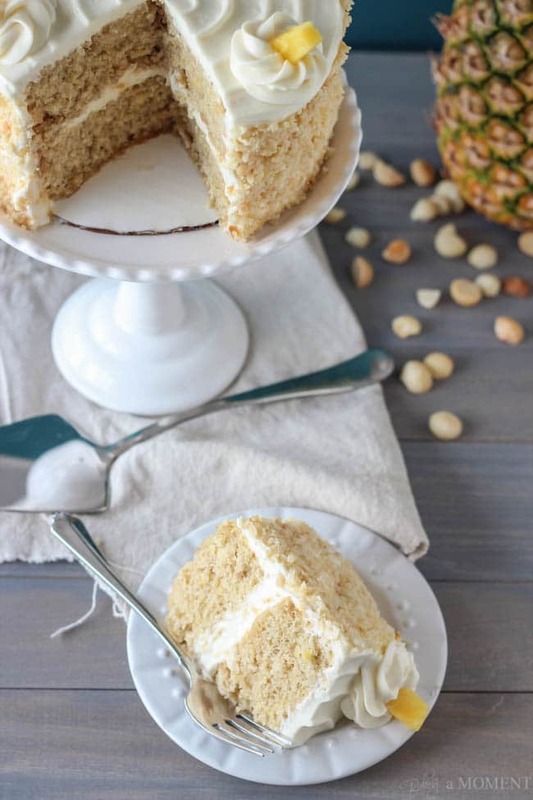 Use your right hand to press chopped nuts onto the side of the cake, allowing excess to fall onto the plate. Place the cake on a serving platter or stand, and pipe rosettes around the outer edge using a pastry bag and a1M tip. Garnish each rosette with a small wedge of fresh pineapple. Now get to making your hummingbird cake! You’re going to love this happy, happy treat! It’s so perfect at this gloomy time of year; I just know it will brighten your day! It certainly did that for me! Preheat the oven to 325 degrees F, mist 3 6-inch diameter cake pans with non-stick spray, and line with circles cut from parchment. Place the flour, sugar, baking powder, baking soda, cinnamon, and salt in a large bowl and stir to combine. Add the softened butter, and mix on medium-low speed until the mixture resembles damp sand (about 1 minute). 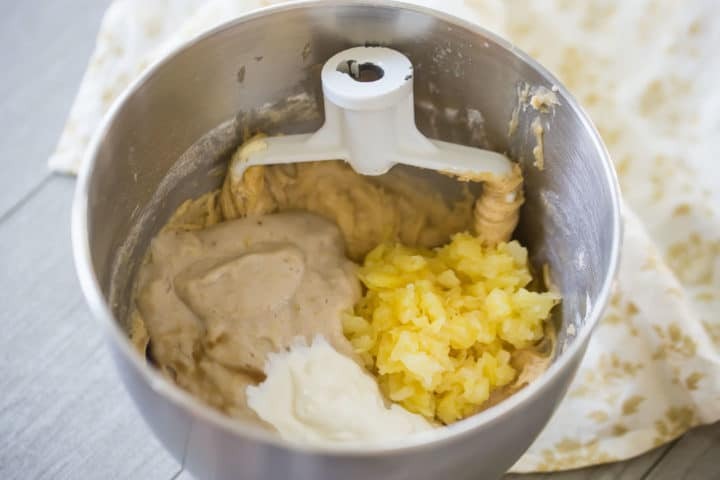 Puree the banana, and add to the bowl, along with the pineapple, sour cream, and vanilla. Mix on medium speed for about 1 minute, to aerate the batter and build the cake's structure. Divide the batter equally between the 3 prepared pans, and bake for 25 to 35 minutes, or until a toothpick inserted in the thickest part of the cake comes out clean. *To make pineapple flowers, peel and thinly slice rounds of fresh pineapple and place them on a wire cooling rack. Dry in a 170 degrees F oven for 3 to 4 hours, then place in a small cup to shape. 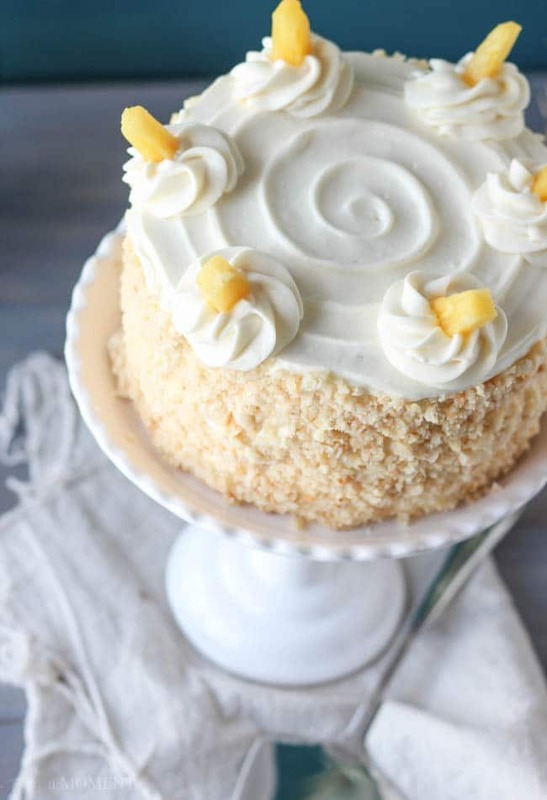 This cake looks so bright and spring-y, Allie! I have never even actually TRIED hummingbird cake before, but it’s on my must-make list—Anything smothered with a cream cheese frosting has my name written all over it. And I love love how you frosted and decorated the cake! So pretty. pinned! LOVE this recipe. Hummingbird Cake is seriously my favorite cake ever! They sell is at a restaurant around our house and everytime we go I HAVE to get a piece. Now I can make my own, I have been meaning to for a while but have been too lazy to look up the recipe. So thank you for reading my mind. 🙂 Pinned girl, beautiful pics too. Love the blue background, makes everything pop! I cannot wait to make this! Looks beautiful too! Thanks so much, Christine, and thank you for hosting! Sorry I forgot to mention that in the post! Hope you have a fabulous weekend, girl! Nothing better than something tropical to perk up the winter blues! I hate hate HATE winter with a profound passion. Even with all my life blessings I find myself sulking a bit more once the cold and gloomy weather hits (and yes, it has hit in GA too, just not as bad as everywhere else). I just might need to make this for my birthday. It’s supposed to be wet and cold that day and darn it, I want sunshine for my special day! Cake is the equivalent to sunshine, right? Definitely, Dani! 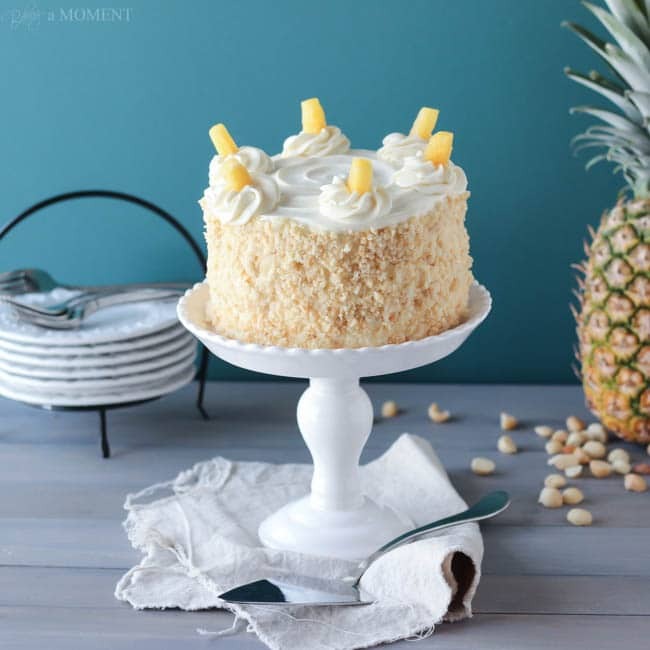 Cake, especially if it has pineapple, is like a sunbeam 😀 Happy birthday my dear! Aww. I’m sorry Allie! I was thinking about you and wondering how you were. I should have just went ahead and sent you an encouraging note. Sorry for missing that opportunity! I know how you feel. January and February can feel dreadful esp since it’s been so cold. Thankful that I just had the opportunity to go away with hubby for the weekend though. So that brightened it up for me as I look forward to our time away each year. You are so sweet and kind, Melanie! Just knowing that you were thinking of me means so much <3 DREADFUL, is the word, for sure. But happily the sun is shining now, even if it's only for a day or so. So glad you had a chance to get away with your hubby! And hugs to you too friend! I’m not sure I have ever seen such a gorgeous hummingbird cake in my days. This is seriously insanely gorgeous! Allie! I love cakes and this is just perfect! I so want to faceplant right in there. I love the swirled design on the top too. I’ve done it for several of my cakes and it gives such a simple yet classy finish. And don’t worry about the funk. We all go through that at some point or another. Just remember, Spring IS around the corner. I can’t wait to see more of what you’ve got! I LOVE that cake stand! This is a gorgeous cake Allie, it belongs on the cover of a magazine for sure! Thank you so much, Rochelle! It was a super find from HomeGoods. Love that place! I’ve missed you, Allie, but you more than make up for your absence with this beautiful cake. Wow, it’s a stunner! The texture looks so perfectly moist, light ‘n fluffy. And I love that you used fresh pineapple. I’m sure it amps up the flavour. Beautiful photos as always, girl! I understand when you talk about the funk. Sometimes you get into that mind frame and it’s hard to pull yourself out. Take whatever time you need cause we’ll always be here when you get back! This is one beautiful cake!!! I cannot wait to make it girl. I love how we used the same ingredients in totally different ways. I knew there was a reason why were are BFFs 😉 I’m glad to hear that things are getting better. The winter blues got me too and I’m so grateful you were able to talk me through it 🙂 thank you!! Hi Allie, First off glad your feeling back to blogging & all. Winters can be too long. We’ve been in a drought here and finally the rain is dumping down on us. Hopefully for a few days at least! (I hate dry, freezing cold weather!) Now is a perfect time to try baking your recipe and I can only hope it comes out half as good!! It Looks Amazing!! I have heard of hummingbird cake before but, never made one. Hopefully this weekend! Pinning your cake. Feel free to share at my party anytime if you have time. Hang in there spring is right around the corner! Thanks Theresa! It was my first time making it (and tasting it too!) and I found the recipe to be pretty simple. And the final product was delish! I hope you do have a chance to make it because it’s such a great spirit-lifter 😉 Thanks so much for pinning and stay warm and dry! I hate those pesky winter blues. I get them every year. Darn that funk. I can completely relate. Thanks, Tina, it’s good to know I’m not alone! Something about all that icy gloom just gets to me after a while. It’s been the worst winter I can remember in a decade at least. Thank goodness for cake! It snapped me right out of it, lol! Thanks for the sweet compliments, too. Hope you’re having a great weekend! Thanks, Helen! I tell ya, I think the blue background cheered me up almost as much as the cake! So thanks for noticing! The cake recipe was really simple to make but I do realize that the icing and decorating may not be for everyone. Hopefully the explanation helps but I’ll admit I’ve had tons of practice in that department. Anyway, thanks for the sweet comment and I hope you’re having a great weekend my dear! Hope your feeling back to yourself Allie 🙂 I love six inch cakes and this one looks delicious! Perfect for when we want a little summer feeling in our lives. 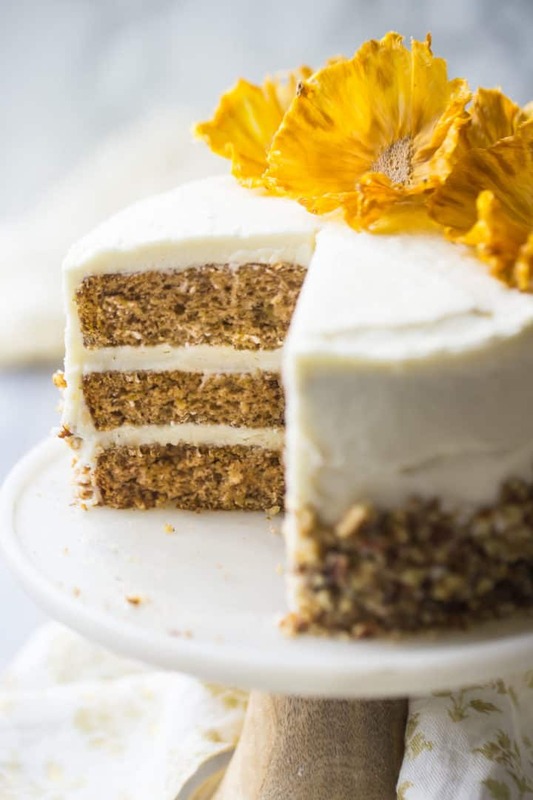 I’ve only heard little bits and pieces about Hummingbird cake but I love the name, it reminds of summer and little hummingbirds gliding along a river on a nice balmy sunny day. Btw I love how fluffy the crumb is. Thank you Laura! Yes, the crumb was really fluffy and moist. I was totally new to Hummingbird Cake too, but I really enjoyed how easily the batter came together and the way the flavors played. A really nice combo for sure, especially with that fluffy cream cheese frosting! Thanks for the warm wishes; hope you’re having a great weekend sweetie! This looks amazing, Allie! 🙂 The cake looks perfect, so light and fluffy! I have never made a cake like this before, Allie! 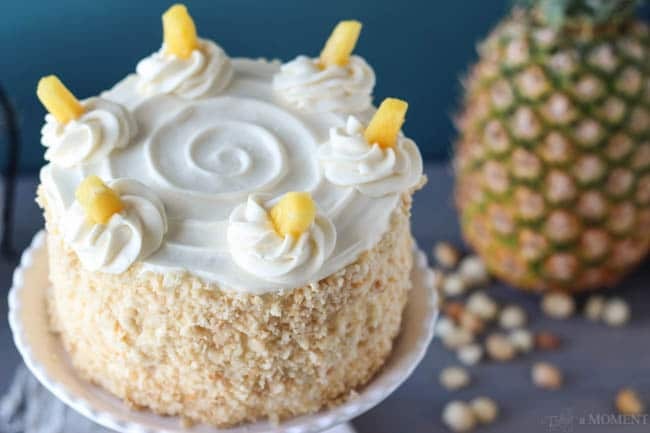 You are a wonderful baker 🙂 This reminds me of pineapple upside down cake…haha probably just because of the pineapple because other than that its pretty different! Any cake with cream cheese frosting and i’m sold. I will have to make this month since it is almost spring…thank goodness! Me too, Kelly! I am a sucker for cream cheese frosting and this recipe was pretty darn good! I especially liked the fluffy texture. And the cake did not disappoint, either! Thanks for the sweet, sweet compliment, you put a smile on my face today!!! The February blues are the worst. I’m glad you are feeling a bit better, and I’m so glad you made a cake like this to make us all happier – this looks amazing! 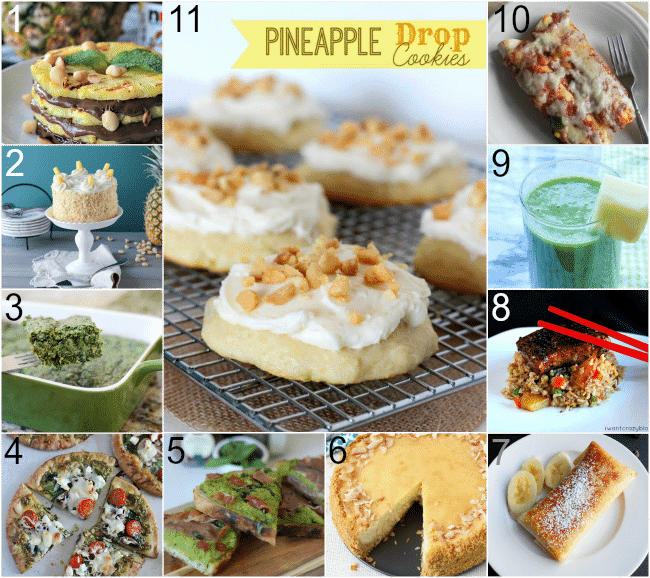 And pineapple makes me think of vacation, which is what I need to think about right about now! Believe me, vacation has been on my mind lately too! I’m so over this wintry weather, and I keep seeing these tv commercials for the Bahamas and it’s making me eat my heart out! Oh, well, cake’s the next best thing I guess! what a great cake! i especially love those little layers. i need to get some smaller cake pans! What a gorgeous cake Allie!! I’ve never made a Hummingbird Cake…ever! They always looked so complicated to me. But, because of you and your awesome pictures, this is going to be my next cake project. 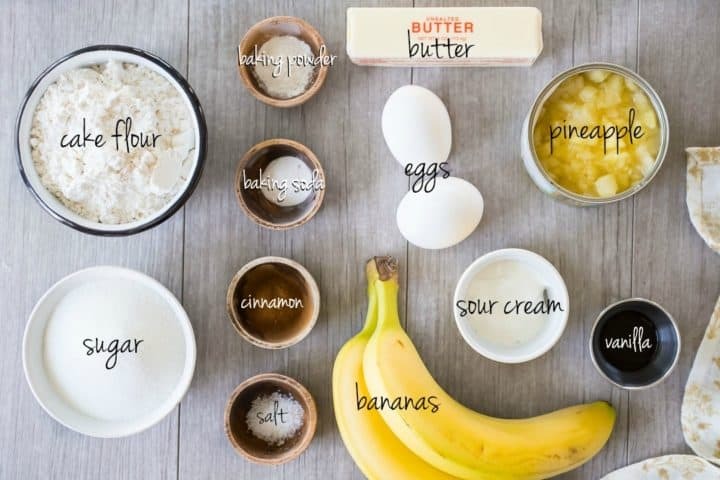 Your recipe sounds pretty simple for me…LOL….you should see my “experiments” in baking! I’m sooo happy to see you back after your mini absence. No worries there, it sometimes feels good to step back and just take a breather now and again. So, no apologies needed from you….EVER…. besides, your cake speaks volumes to me! Oh, ya, thanks for that too! Thank you so much Samina! You are too sweet. I hope you do get a chance to make this recipe- maybe it will brighten your day the way it did for me. Take care, my dear! This cake is impeccable, from the ingredients right down to the tiniest decorations. The whole time I was reading the post, I kept thinking “but how does she make it look like that! ?”, and you apparently read my mind! I am pinning the heck out of this, both for the recipe and the great instructions! You’re too sweet, thank you Nora! I just knew that if I didn’t include the instructions, someone would be bound to ask, lol! I’m so happy you liked and thanks for the awesome feedback! Aw, I’m sorry you were feeling it too, my dear! So many people I’ve talked to are dealing with this right now. I just took that week or so and focused on getting happy and luckily it worked. I’m doing much better now and I hope you are too! Thanks for the sweet compliments and thank you for pinning! Hugs to you too! This looks over the top amazing! Thanks for linking up with What’s Cookin’ Wednesday! This cakes looks amazing, like I could poke it with my finger and it would bounce right back! Just perfect for Spring-time. I feel the same about winter, too. It’s hard to survive January and February! Thank goodness Spring is on its way! I’m seeing the light at the end of the tunnel, and I couldn’t be happier. Thanks for stopping by, Liv! Thanks for the marvelous posting! I seriously enjoyed reading it, you may be a great author. in life. I want to encourage you continue your great work, have a nice evening! This recipe looks delish! Perfect for Easter! I would be thrilled if you would hop over to my Easter/Passover Recipe Roundup and share this awesome recipe with us! 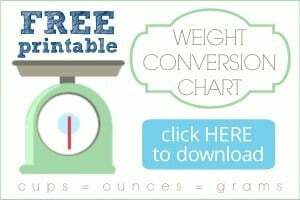 You can find it here:http://mommasangelbaby.com/?p=2132. Hope to see you there! HUGS & Happy Easter! Looking for a smaller recipe for Hummingbird I came across your site and couldn’t wait to give it a try this morning. It was so easy to make and looks fantastic. Will definitely be one of my favourite cakes to make. You’re so very welcome, Ros! I’m so happy you liked the recipe and I hope you enjoy it! Thank you for taking the time to drop me a line; hope to see you here again soon! I understand Hummingbird is similar to carrot cake and my question is can I use carrots and in what proportion. I only find huge carrot cake recipes, three large layers which is too much for a small family, only Mr B and myself since the children have homes of their own. Our granddaughter, Nici (aged 14) is a keen baker so I am passing on your Hummingbird recipe to her. Hello. Shall I double the batter if I want to bake 2x8inch pans? No worries Hala! Good luck and enjoy!